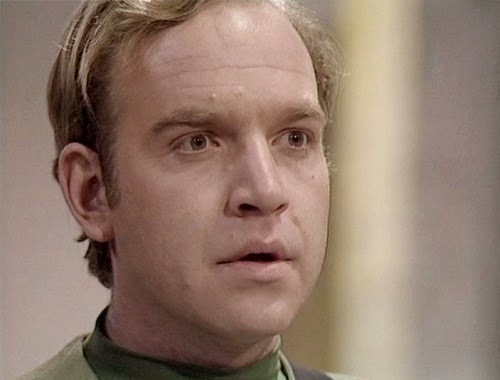 Blake has come to the planet Albion to find a Federation officer called Provine who is supposed to know the new location of the Federation's Central Control complex. When he arrives on Albion, however he discovers that the people of that world have revolted against their Federation rulers and taken over the headquarters on the planet. 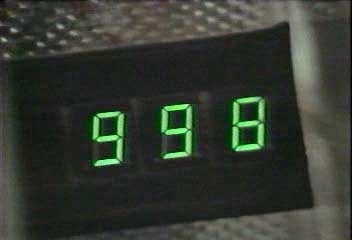 Provine is missing but, before he went into hiding, he started the countdown on a bomb that will kill all life on the planet. 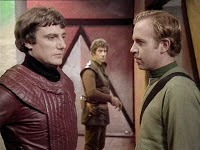 Blake, Avon and Vila teleport down to Albion and meet several of the rebels there including a mercenary named Del Grant who knows Avon and who, on their last meeting, had promised to kill Avon if they ever met again. Blake manages to get them to put their differences to one side and work on stopping the bomb from exploding. Using Orac, they discover that the bomb is hidden at one of the planet's polar ice caps. Despite their differences, both Avon and Grant offer to teleport to the bomb's location and defuse it. While they do this Blake and Vila look for Provine. At the ice cap, Avon and Grant work to defuse the bomb. They discuss their past relationship and how Avon supposedly left Grant's sister Anna to die. Avon claims that he was unable to do anything to save Anna but Grant is not convinced. Only later, when Grant is trapped by a falling block of ice and Avon risks his own life to save him, does Grant find himself able to forgive Avon for what happened to Anna. Between them, the two men manage to defuse the bomb. Meanwhile, Blake is hunting for Provine, unaware that Provine has killed one of the rebels and stolen his identity. Provine attempts to kill Blake but is shot himself in the struggle. 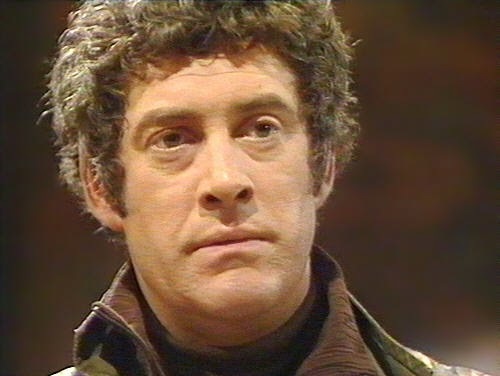 Before he dies, Provine tells Blake that Federation Central Control has been re-named Star One and that the only person who knows its location is a man named Docholli. Some time later, the Liberator departs Albion. Blake offers Grant the chance to stay on the ship but Grant opts to stay on Albion and work with the rebels. Blake: Blake is once again focused on finding and destroying the Federation Central Control, a storyline that will continue through to the end of this season. 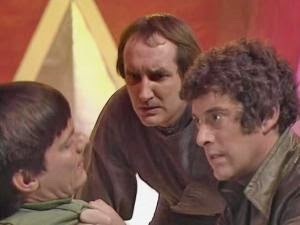 Blake plays second fiddle to Avon in this episode. He allows Avon to go off and do all the heroic stuff saving Albion while Blake focuses on finding the man who might know where Central Control is. Despite their differences, it's nice to see Blake supporting Avon. 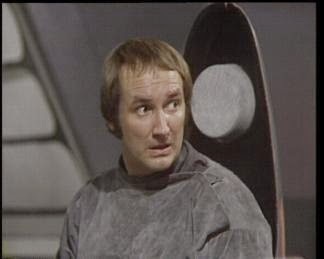 When Avon is about to go and defuse the bomb with Del Grant, Blake warns Grant that, should anything happen to Avon, then Blake will come looking for him. Avon: This is very much Avon's episode and we're given more of his background. He and Del Grant have a history that is gradually revealed over the course of the episode. Grant's sister Anna was once Avon's lover. The two of them planned to escape the Federation's control but while Avon was out collecting some fake visas from a dealer, Anna was arrested, dying in custody before Avon could rescue her. 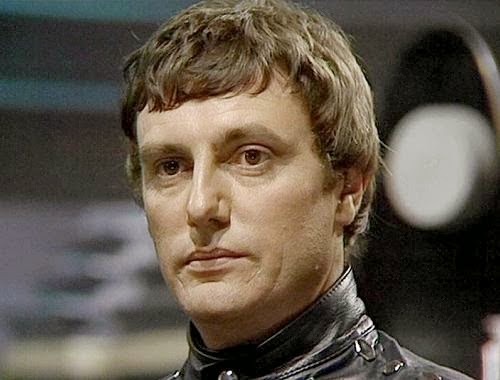 Given this experience and also taking into account what we learn about Avon's friend Tynus in 'Killer', it's no wonder that he's so cold and aloof towards the other members of the Liberator crew. Vila: There's another opportunity for Vila to show off his skills at opening locks however, beyond that, he's shown to be a bit of an idiot. In particular he gets confused when he goes off looking for Blake and Provine and puts Blake's life in danger. Terry Nation returns to his series to set up the storyline for the remainder of the season. As well as kicking off the hunt for Star One, he also gives Avon's past more depth and delivers a fast-paced story into the bargain. Avon is undoubtedly the star of the show, even going so far as to take the role of 'heroic lead' from Blake himself. It's Avon who volunteers to go and defuse the bomb, leaving Blake to do the more mundane job of finding Provine. Granted, logically, Avon is the best person for the job but it's interesting that Blake is starting to become a secondary character in his own show. It's a trend that will continue throughout the rest of this season. Sadly, the other members of the Liberator crew don't fare as well as Avon or Blake. Vila seems to be stupider than usual and both Jenna and Cally are once again reduced to staying on board the ship and working the teleport controls. Zen and Orac are neither seen nor heard, giving actor Peter Tuddenham a rare week off. On the whole, this is a very good return to form after the somewhat disappointing 'Hostage'. Will the next episode, 'Voices from the Past', continue the trend?